Life is all about the journey, so where would you like to go? 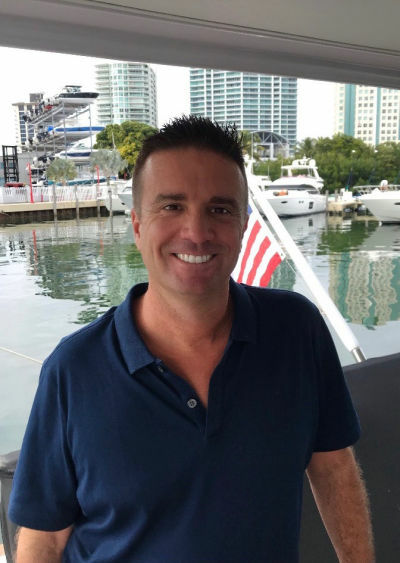 Captain Brad Williams of Williams Yacht Group is here to help you chart how to get you there. If the idea of exploration and adventure is out on the open water, you’ve come to the right place. It’s not about buying the biggest boat or the most expensive boat or the boat your friends have: it’s about buying the right boat for your needs. We know which questions to ask to get you the boat of your dreams, not someone else’s. We know boats. Now we’d like to get to know you. Contact Williams Yacht Group today. At Williams Yacht Group we can help you buy or sell your boat, ranging from a small runabout to an ocean vessel. We’re much more than a boat broker. Owner Brad Williams is also a captain, having logged 3,500 hours and has worked in Maine, Florida and the British Virgin Islands with expeditions wide and far. His experience is matched with listening and understanding your needs, to become a leader in our industry providing exceptional customer service and garnering loyal customers who become friends for life. It’s not about the product, but about the relationship. We believe that the most valuable thing in the world is time, and we know buying or selling a yacht can be time consuming and stressful. WYG strives to take all that away. Our customer-driven philosophy and premium brand products like Tiara and Pursuit make us the most honest place to do business in the country. Honest? Yeah. We’ll show you the proof. Our transparency and commitment to giving our clients the best value is what keeps us real and our customers trusting our word. At WYG, what matters is you, now and in the long-term. You don’t have time for a boat that doesn’t work, or a salesman/service department that doesn’t answer their phone. We aim for excellent customer service, high resale value and the most trouble-free boating experience. We are a full service yacht broker and have access to any brand or type of boat through national yacht listings. Check out our current listings of boats for sale in Oklahoma. We have earned our place in the industry. We have the respect of brokers across the country and have the ability to get you the best deal. We know you’ll have questions. That’s why we spend 10 years on the ocean looking for the answers. That’s what we’re here for. We can help make sure you are comparing apples to apples when comparing boats and brokers. We also offer yacht management services, yacht maintenance and winterization services. Contact us at 918-314-3900 if you would like more information on our yacht brokerage services in Oklahoma. We’d love to hear where you’d like to go next.